What is the 5 Diamond Rating and why is it so prestigious? 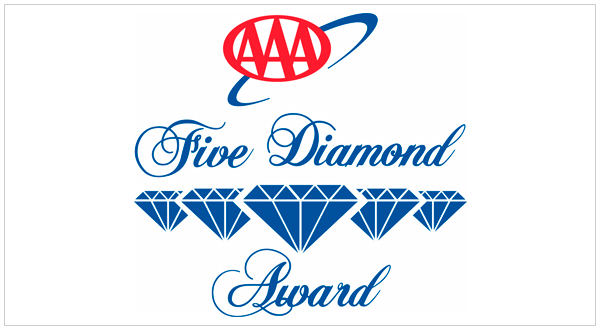 Every year a rating of One to Five Diamonds is assigned to hotels and restaurants around the world, by the American Automobile Association (AAA). Founded in 1902, it is a US federation with more than 57 million members, offering financial services, credit, road assistance, and travel information through maps, routes, and travel guides. The AAA Diamond classification is published in the travel guides for the United States, Canada, Mexico, and the Caribbean. For more than 80 years, certified auditors have conducted anonymous visits to the properties that wish to be evaluated. These professionals decide if the establishment meets the guidelines, which are available on their official website. How to obtain each Diamond? – Sanitation and hygiene in lavatories. When it comes to hotels, the properties awarded One Diamond meet the basic requirements of comfort, cleanliness, and hospitality; while Two Diamond properties have modestly enhanced amenities and decor. A Three Diamond property is more attentive to the style and decoration, offering enhanced amenities and services. A Four Diamond property offers accommodation in luxury suites with great hospitality, service, and attention to detail. A Five Diamond resort provides ultimate luxury, sophistication, and comfort with extraordinary physical attributes, meticulous personalized service, extensive amenities and impeccable standards of excellence. Ratings for restaurants: A One Diamond restaurant meets the basic aspects of management, cleanliness, and quality; while a Two Diamond restaurant enhances the food presentation and offers a family menu at a reasonable price. A Three Diamond establishment employs a professional chef and highly trained cooks. The menu reflects the latest trends and a mastery of traditional cuisine, as well as expanded beverage options and it often provides an adult-oriented experience. A Four Diamond restaurant is orchestrated by an executive chef with complex and creative menus, offering an upscale ambiance and exclusive decor. Finally, a Five Diamond restaurant ensures a world-class experience, offering a haute-cuisine menu with the finest ingredients and techniques by acclaimed chefs. It also offers exceptional service that exceeds diners’ expectations. A total of 183 establishments (120 hotels and 63 restaurants) in the United States, Canada, Mexico and the Caribbean received the Five Diamond Award in the last 12 months. Combined, Five Diamond hotels and restaurants represent only 0.3% of the nearly 59,000 AAA Approved and Diamond Rated establishments (nearly 28,000 hotels and more than 31,000 restaurants). Only The Broadmoor Hotel in Colorado Springs has maintained the Five Diamonds for 41 consecutive years, since 1976, when Diamonds were first introduced to hotels. The Inn at Little Washington restaurant in Virginia has maintained the Five Diamonds for 29 consecutive years (since 1988). There are also young hotel chains that have achieved Four and Five Diamond certifications. Such is the case with Velas Resorts, which have a total of 43 Diamonds, due to their unparalleled experiences and having redefined the Luxury All Inclusive concept. 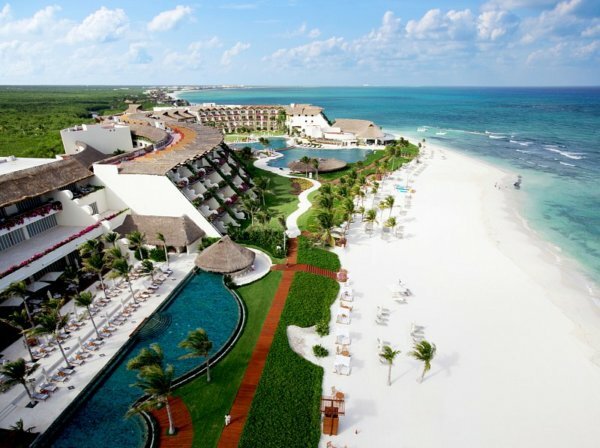 Grand Velas Riviera Maya, AAA Five Diamond Resort. Boutique hotel Casa Velas has received the AAA Four Diamond Award, as has its Emiliano restaurant. 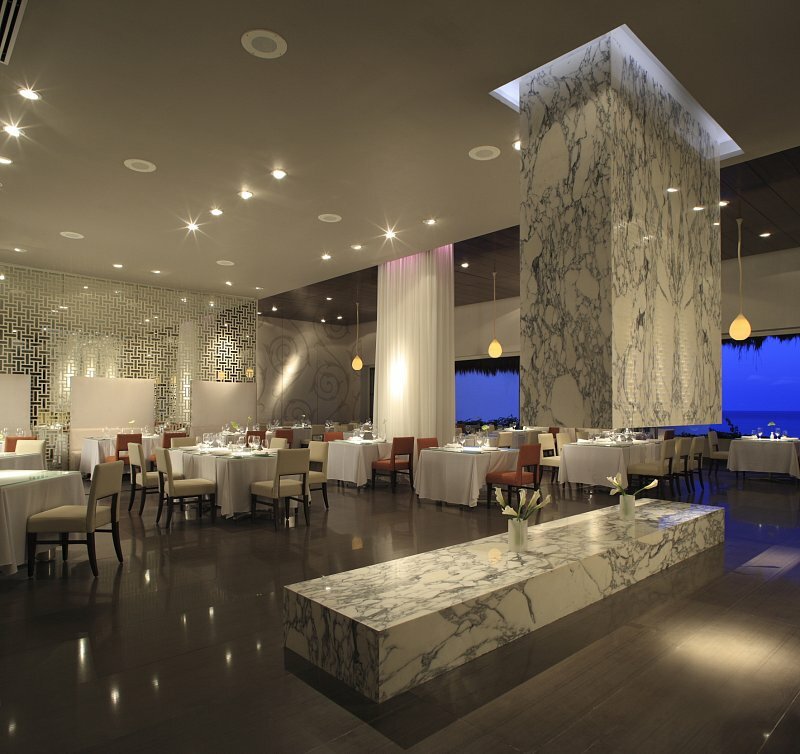 Grand Velas Riviera Nayarit proudly displays a Five Diamond Award, and its gourmet specialty restaurants Frida, Lucca, and Piaf are certified with Four Diamonds. Finally, Grand Velas Riviera Maya and its restaurant Cocina de Autor attained Five Diamond ratings, and the resort also features restaurants Frida and Piaf with Four Diamonds each. Restaurant Cocina de Autor at Grand Velas Riviera Maya. Such prestige has been achieved by the resorts’ spacious suites for relaxation and comfort, gourmet restaurants, unlimited premium drinks, personalized Concierge service, daily stocked in-suite mini bars, Spas, gymnasiums, recreational activities and Kids’ and Teens’ Clubs; to name just a few of the great benefits offered to guests. Perhaps after learning about these certifications, you’ll consider hotel recognitions and awards when planning your next vacation. Choosing one property over another may just mean the difference between an ordinary vacation and an unforgettable getaway.